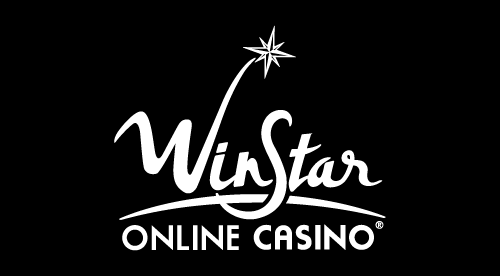 WinStar is a UK-based online casino that launched in 2018. Although it is part of the WinStar World Casino and Resort, Oklahoma’s biggest casino, the UK arm is part of the GameAccount Network. Apart from the WinStar logo, the online casino bears little resemblance to its American counterpart, offering a more colourful and fun casino space that pushes for honest, no-nonsense promotions. The design of WinStar Casino is filled with small flourishes and animations that make it stand apart from the crowded online casino space. The glossy sheen is matched by its content, with a wealth of games and a solid selection of deposit and withdrawal options. Can this new kid on the block take on the established names? Check out our review to find out. If you like slots, you’ll be wishing on a WinStar, as the casino has a galaxy of online slot games to play. WinStar Casino does not offer play without a membership, so you have to sign up first in order to try the titles. It is a very quick process and, once completed, you can search through the bounty of slots for your favourite titles or find fresh ones. WinStar Casino makes it easy to search through its content. You can either browse through all the games available, or simply check out the latest titles. There’s also a search bar if you’re looking for a specific game. Although the focus is on slots, the menu at the top of the casino allows you to quickly navigate between the different sections, whether you are playing on a desktop, laptop, or tablet or smart phone. As a new casino, WinStar has brought in the big guns to help launch itself into the online gambling world. Players will finds a raft of games from the experts over at NetEnt, including new titles such as Finn and the Swirly Spin and Spinata Grande, as well as classics such as Starburst and Gonzo’s Quest. There are also games from IGT, Bally Technologies and Amaya, as well as exclusive titles from companies such as Everi, Novomatic and Blueprint Gaming. As well as the slot section, which has well over 250 games, WinStar Casino excels at Video Poker, with over 20 different titles to try including Ultimate X Poker, Game King Bonus Poker and Texas Hold’em Champion’s Edition. Players chasing a jackpot should also check out the progressive section, with nearly 20 jackpot slots to choose from. Several of these are tied to the Mega Jackpots system, with alternative offerings including Platoon Wild Progressive, Cosmic Fortune and Absolute Super Reels. The table games and live casino section are also impressive, carrying on the same trend of mixing well-known games with exclusive titles. WinStar Casino has hit the ground running with an impressive platform combined with a wide selection of games.